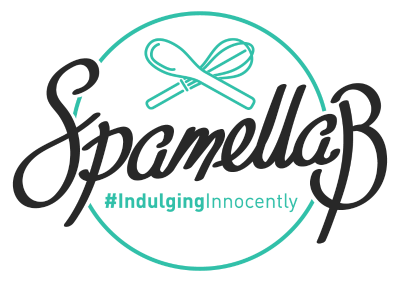 I’ve been challenged with created a selection of recipes in celebration of International Sweet Potato Week (from 1st – 13th April) in collaboration with American Sweet Potatoes. Being a big lover of the super nutritious bright orange root vegetable, I love how versatile they are in both sweet and savoury recipes – it’s hard to choose a favourite way of using them. 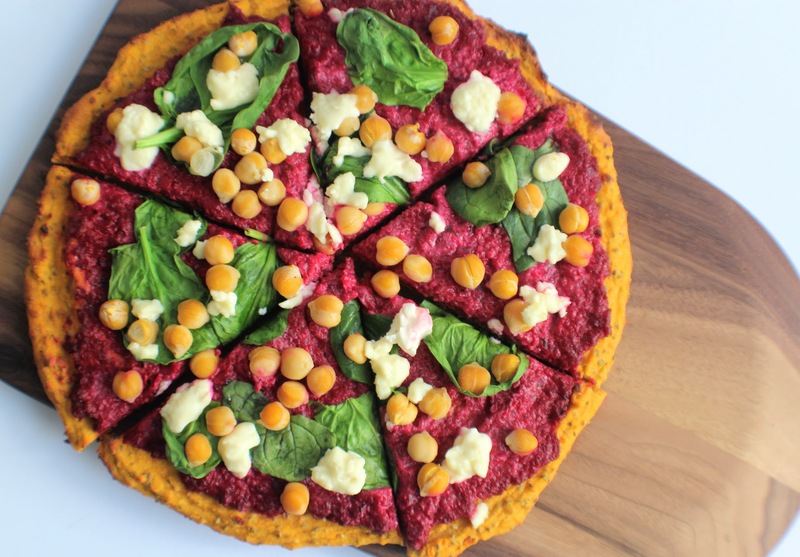 You may have seen my Sweet Potato, Edamame, Feta & Pomegranate Salad recipe – this time I’m creating a healthy twist on a classic: PIZZA. 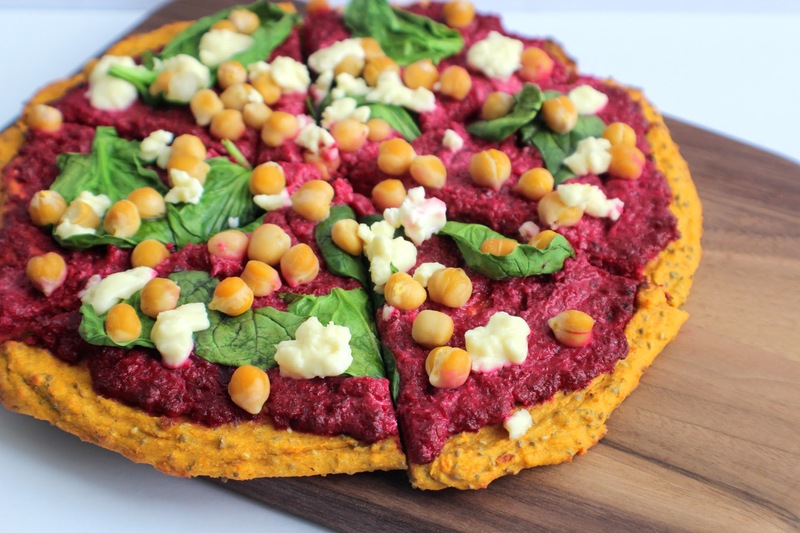 That’s right, using mashed sweet potato to form a base, then topping it with a bold pink beetroot & feta dip alongside chickpeas, spinach and feta. 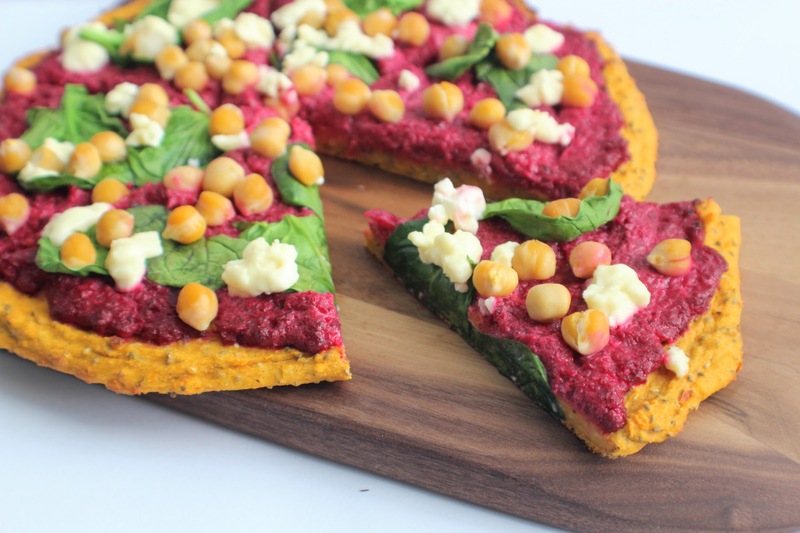 A taste sensation, this looks (almost) too pretty to eat! First steam/boil the sweet potato chunks until softened. Drain then cool. Preheat the oven to 180 degrees C and place a large sheet of greaseproof paper on a baking sheet. Mix the chia seeds with 2 tablespoons water and set aside for 10 minutes to form a gel. Place the cooked and cooled sweet potatoes in a blender (I used my Ninja Kitchen Auto IQ) along with the flours, chia seed gel, herbs and seasoning, olive oil and apple cider vinegar. Now blend until smooth. Add a little more flour if you need to – you should have a slightly sticky ‘dough’. Spoon this onto the lined tin and use the back of a spoon to spread out and form a circular shape (about ¼ inch thick). Bake for 20 minutes then leave to cool slightly. 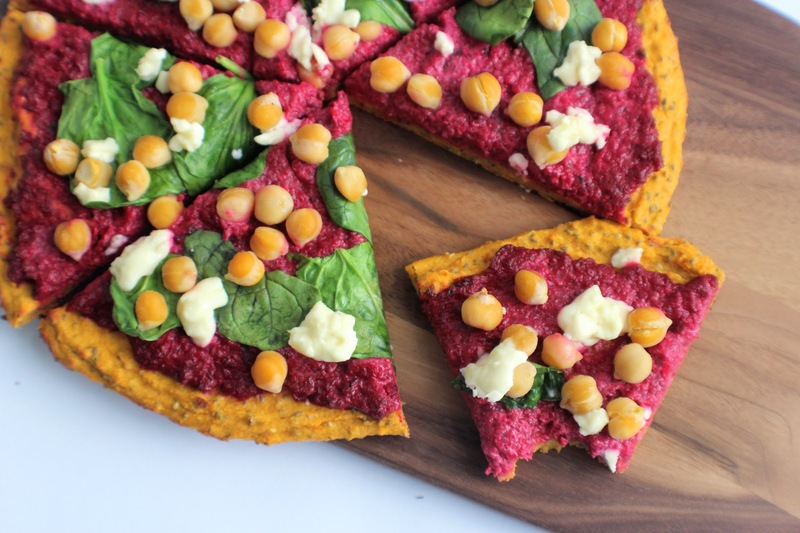 Meanwhile make the beetroot dip (see recipe). 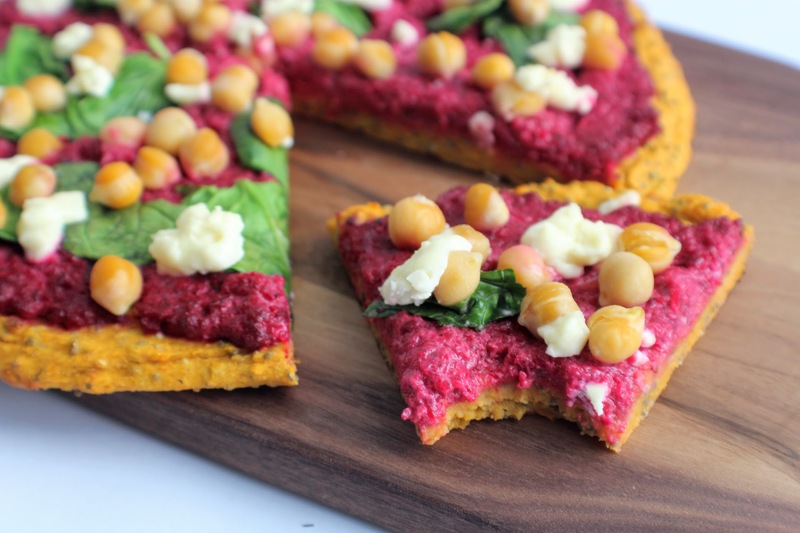 Spread a generous layer of the beetroot dip over the base then scatter over the spinach leaves, chickpeas and feta. Return to the oven for 10-15 minutes. Remove from the oven then slice into about 6. Now enjoy!